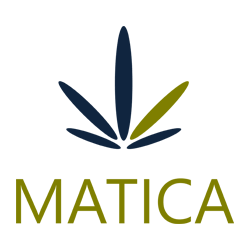 July 20, 2017 – Toronto, Ontario – Matica Enterprises Inc. (MMJ–CSE) (39N – Frankfurt) (MQPXF – OTC PINK) (“Matica” or the “Company”) is pleased to report that the Company has signed a letter of intent (“LOI”) for Matica to become a majority owner of a second late stage application under the Access To Cannabis for Medical Purposes Regulation (“ACMPR”) in Quebec. The target facility for this second ACMPR application is also a ten thousand square foot (10,000 sq. ft.) facility located in an industrial park in Saint-Laurent, Quebec in close proximity to our initial facility. The target is a late stage application with the goal of becoming a licensed producer under ACMPR and has completed the security clearance stage and is now in the review stage. Upon completion of due diligence, Matica will proceed to a definitive agreement (“Agreement”) which will allow Matica to acquire an initial sixty-five percent (65%) interest with the right to earn an additional five per cent (5%). After successful due diligence and signing of the definitive agreement, Matica is required to forward $75,000 in cash and issue 6,000,000 common shares of Matica. Matica will be required to provide funding of $2,200,000 to complete the build out of the medical marijuana facility in preparation for Health Canada inspection. This will earn Matica an initial sixty-five percent (65%) interest. After the completion of twelve (12) months of production at the facility, Matica will make a final payment of $675,000 and receive an additional five percent (5%) interest for a total seventy percent (70%) interest.